Forget the club, forget the lounge, TopGolf is where it’s at. The out of the ordinary driving range meets sports bar will soon open in Doral. Think of your favorite bowling alley with neon lights, music, and a fully stocked bar where you can get handcrafted cocktails and that’s what TopGolf is. A great place to kick it with friends or family any night of the week. Whether you’re a pro golfer or a newbie, the cool thing about this driving range is that it’s all about having fun. The tech-driven game appeals to golfers of every level and no matter how skilled you are, the fun is in whacking the ball as far as you can into targets spread across the range all with different points assigned. Each ball has a microchip inside tells the player the score on the computer in their playing bay. Oh, and don’t get it twisted, you legit will be sore the next day if you’ve never swung a golf club in your life, but on the positive side, your triceps will be ON POINT! Since TopGolf creators know that not everyone is a pro, each location has on-site PGA-Certified pros to help you finesse your swing game and clue you in on what clubs to use. In addition to the driving range, the sports bar offers a full restaurant menu where you can munch while waiting for your bay to open, or just to hang out. 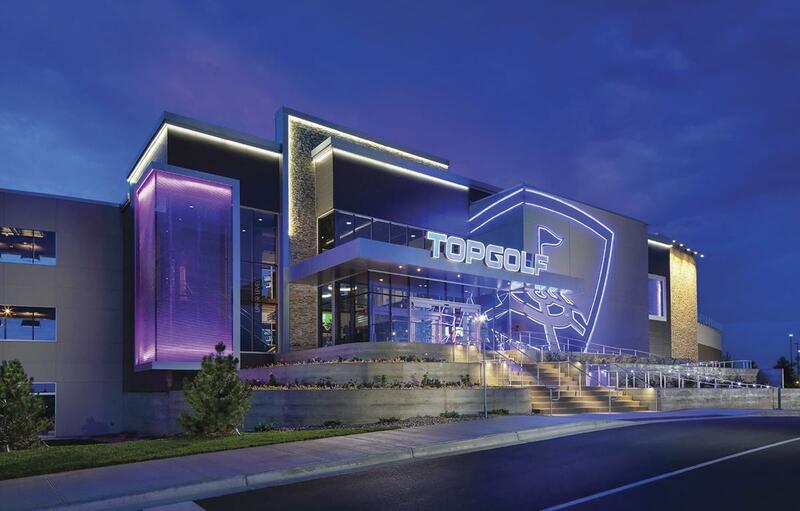 TopGolf creator definitely scored a hole in 1! The new Doral venue is located at the northwest corner of 12thStreet and the Florida Turnpike extension in Doral. TopGolf Miami is set to open it’s doors later this month. UPDATE: TopGolf Miami will open its doors, Friday, August 10th.